Special Care Baby Unit clothes for premature, Poorly and tiny babies. why most of these sets have no feet in them? Pulse oximeters are fastened to the feet for monitoring baby in some incubators.Reborn babies are used in all photo shoots to give you a better idea what they look like on.These clothes are not recommended for dolls clothes as they will be too small. Manufactured in uk with an emphasis on realistic baby body sizes and measurements after consulting with Nicu staff and baby and intensive research . All Clothing sets are created for quick and easy access for baby's nursing, monitoring and direct care needs. The clothing fabrics are soft, comfortable, safe for the tinest of babies who's skin is very delicate and sensitive. These are different to other premature clothes, they come in funky coloured fabrics as well as traditional pinks and blues for the trendiest of mums.Adorable clothes and pleasing to the eye. Mummy picks a favourite colour to dress baby wearing any stunning colour of the rainbow with all the assesories to match. somesets come with 2 laundry bags for baby's own washing at the hospital and one for spare keeping used washing neatly contained . How wonderful no lost laundry at the hospital ? keeping baby's own clothes contained ready for washing at home.As a Mummy you can feel useless just seeing baby through the portholes of the incubator, it can make a mummy sometimes feel like a sparepart.By Dressing baby in the clothes you have picked out ensures you are more involved in the basic care of your baby no matter how small a job, and it does make a mummy feel much more needed at this stage as baby is nursed back to health. fasten the bag with the attached straps to the side of the nicu cot, So your baby's name is seen by all and then washing can go directly into a bag neatly contained until ready for washing at home. The nursing staff know instantly who is wearing hospital clothes and who is wearing own clothes with the bright distinctive colurs the clothes come in. Little Cherry Red,Sky at Night Navy Blue,my sweet rainbow. Foot note ......"from a mummy of a baby in special care". 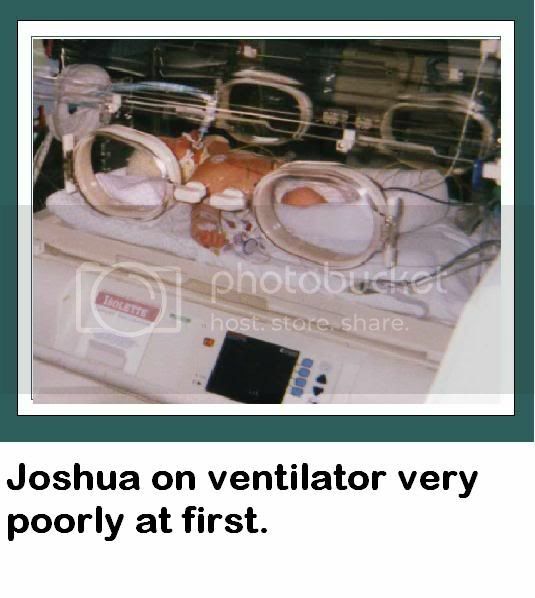 THIS PAGE HAS PHOTOS OF BABIES IN THE NICU AND ARE INTENDED FOR EDUCATIONAL PURPOSES ONLY WE ARE SORRY IF THEY CAUSE ANY DISTRESS TO FAMILIES. What is NICU neonatal intensive care unit? it is where babies born early ,tiny or have medical complications at birth need more specialist care to be kept alive and well in these type of units for a while until they are more stable to transfer over to SCBU. What is SCBU? its a special care baby unit.Depending on how sick a premature or tiny baby or baby born with medical conditions moved over to this type of unit until fit enough to go home. What is Nanny Nicu? Nanny Nicu a Unique brand of premature/low birth weight and for poorly baby clothing system. Created for babies cared for in special care known as the SCBU (SPECIAL CARE BABY UNIT). Premature babies and poorly newborn babies have different care needs to that of a newborn baby. They are very vunerable not only due to their size but gestation period, organ development ie tiny lungs not working on their own and not being being able to breathe on their own.Early babies very prone to catching germs, bacteria and infections and in a very tiny baby can even prove life threatening. That is why the nursing staff will do all they can to give your baby the best possible start whilst being cared for in a seperate unit from you called the NICU/SCBU.Some units prefer your baby to be unclothed so wires can be attached to a little body as quick as a flash usually in the NICU neonatal intensive care unit.The sickest of babies are cared for here so it is more important that baby has 24 hr close monitoring than being dressed for best. When baby becomes more stable in the HDU High dependancy unit baby can then be dressed in light clothes but remember the nursing staff need to get access to certain baby's body parts so they can apply wires, nassal canulars to help baby breathe easier,give medicines and also change your baby's nappy etc. When your baby is allocated to a special care baby unit close to your home or the nearest one which has the best facilitites to that meets your baby's nursing care needs.You can choose wether to dress your baby in the hospitals handouts or use your own.Items get lost and sometimes the nursing staff dress baby what ever is at hand in the appropriate size.they may not be to your taste even. THIS IS WHEN NANNY NICU NICU or HD coded clothes can be used. "After my own nephew was in the scbu and his own clothes weren't touched we felt dissapointed to see little Joshua dressed in a green outfit that didnt fit him, it was threadbare and embarrasing as if we couldn't afford to dress him in comfortable attractive clothes that fit him". Not much available on the high street shops in smaller premature sized baby clothes that fit tiny babies. "The Nicu staff have told us which premature baby clothes make their job more difficult to tend to your sick baby and which type of tiny baby clothes make their job much easier to give your baby direct nursing and care needs. Especially as there is so little available and after looking after so many babies in their care". Tiny babies are prone to infections so the last thing a baby needs in special care is to contract a serious super bug infection which can be life threatening. More and more nicu wards closing due to MRSA ,Strep B and other hospital aqquired infections..
After the research and consultations Cheeky Chums wanted to design a new range of clothes especially for use in the special care baby units. Created for teeny tiny babies born premature and the sizes would be more realistic.For low birth weight babies and babies born poorly. "We wanted to make sure what ever we came up with would be"
clothes produced would be easy dress and easy accessible for nursing care, in prem sized and also for newborns full term in scbu baby wear.